While the 1990 Amiga version of Atomix has really nice graphics this remade version for PC doesn't take that one step back. 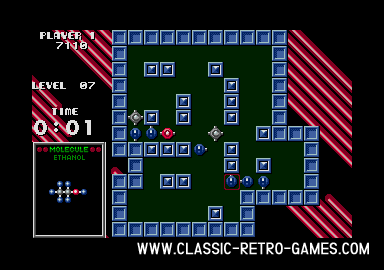 Atomix is one of those great puzzle games that are not made these days anymore. It was released for Amiga, C64, Atari ST and MS DOS (it was in the ninetees) by Thalion from Germany. 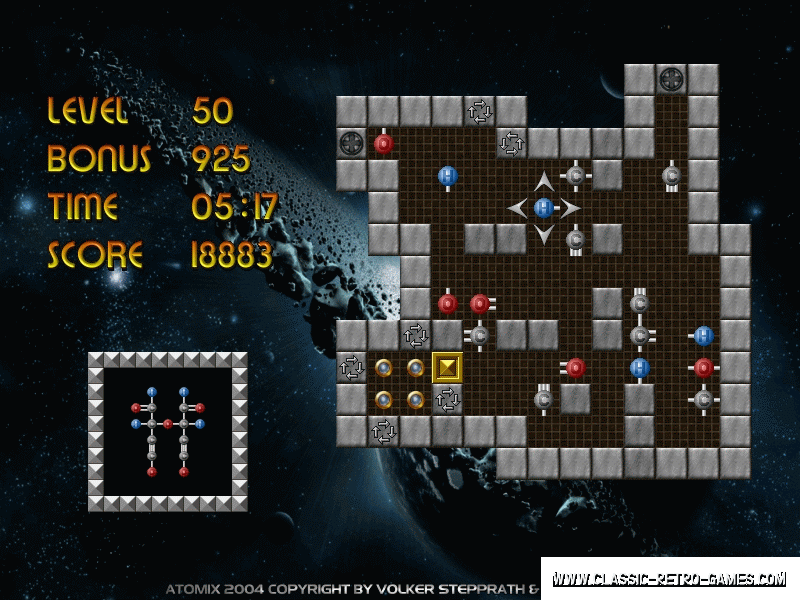 TST remade Atomix for Windows PC and did a great job keeping the gameplay just as good as in the original. As far as that goes for puzzle games of course. 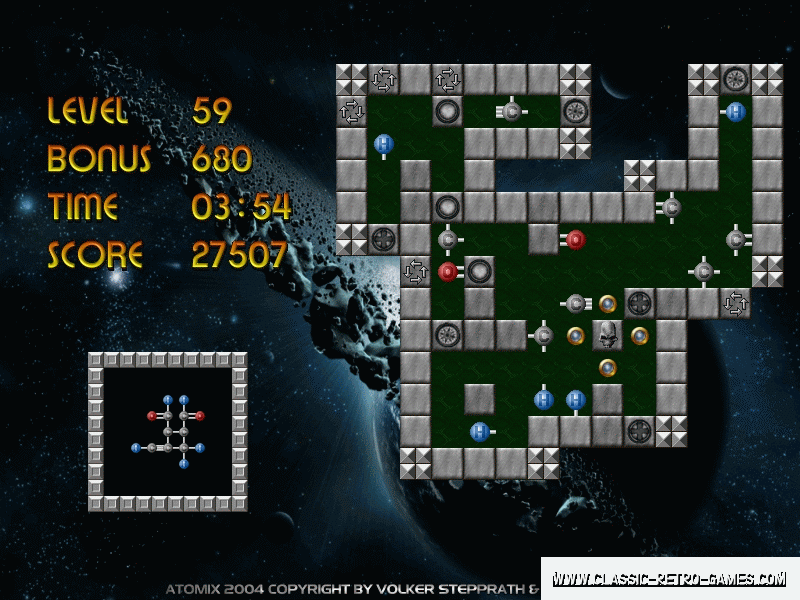 Just download Atomix for PC and get puzzled! Currently rated: 2 / 5 stars by 8 gamers.